The church Benny Hinn built and singer and pastor Clint Brown later occupied. Faith World Center, known in Hinn’s days as World Outreach Center, was sold in an online auction for $1.85 million. Evangelical Christian Credit Union laid claim to the Orlando, Florida church building on Forest City Road. Faith World Center defaulted on its mortgage in late 2013, according to the Orlando Sentinel, owing $9.7 million. Hinn has long since left Orlando. Meanwhile, Brown is holding services in Wekiva High School’s auditorium under a new banner: Judah Church. A former resident of Orlando, I can attest that few churches were as well known and attended as Faith World. The fact that the once budding mega-church is now having service in a school gym is beyond me. And apparently the city officials and lenders have taken notice. 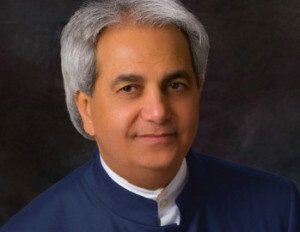 Although Benny Hinn is not directly connected to this controversy Brown has got himself into. Hinn has long been surrounded by his own share of controversy. 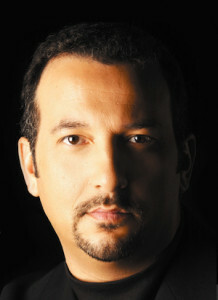 Hinn, who was born into a Greek Orthodox Christian family and later became a zealous charismatic, admitted to ABC that he doesn’t have medical verification of the healings he performs, and said some people who claimed they were healed on stage at the events were actually not. This entry was posted in Blogs and tagged Benny Hinn, church, Clint Brown, Faith World Center, Foreclosure, Orlando by Kris Patrick. Bookmark the permalink.